The Central Dining Hall currently has capacity to seat over 750 scholars and mentors. 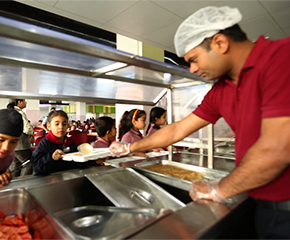 It is serviced by a very modern and hygienic kitchen. The entire management of the CDH is standardised around the best global practices from pre-washing of supplies, storage in 3 cold rooms to preparation and delivery. The Menu is designed by an expert nutritionist and is managed through a software-based menu management system to provide balanced nutrition. The Menu for the Week is available on the link below. 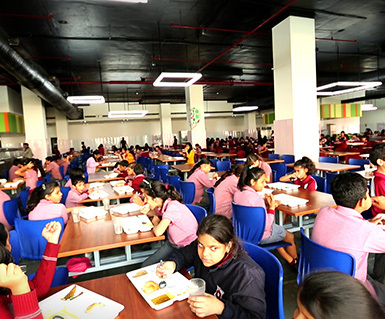 Advocating a policy of healthy eating, the School does not permit junk food and aerated soft drinks on the campus.